Certified. 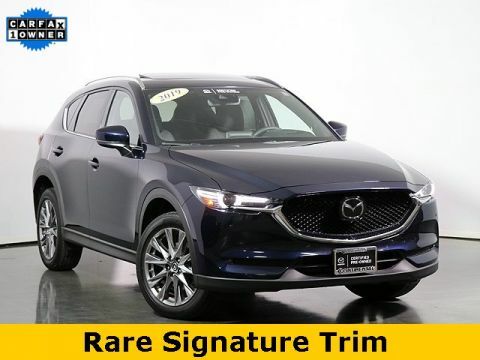 2019 Mazda CX-5 Signature In Deep Crystal Blue Mica. 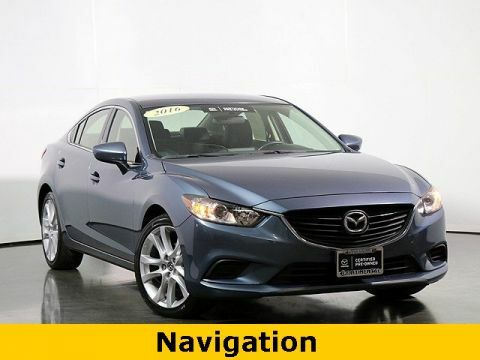 Mazda Certified Pre-Owned Details: * Includes Autocheck Vehicle History Report with 3 Year Buyback Protection * Roadside Assistance * Powertrain Limited Warranty: 84 Month/100,000 Mile (whichever comes first) from original in-service date * Warranty Deductible: $0 * Limited Warranty: 12 Month/12,000 Mile (whichever comes first) after new car warranty expires or from certified purchase date * Vehicle History * 160 Point Inspection * Transferable Warranty 22/27 City/Highway MPG Bad Credit? No Problem! 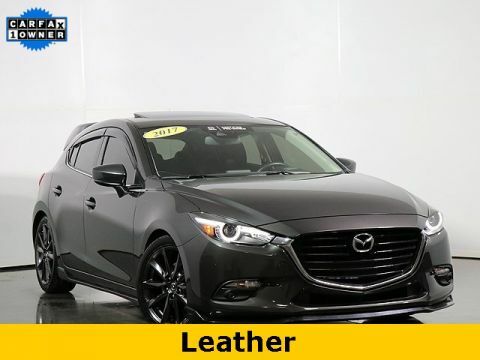 Thank you for considering Continental Mazda for your next vehicle! We are proud members of the exclusive Naperville Test Track. Stop by today for your best test drive experience ever - really! With over 50 years of satisfied customers, we guarantee hassle-free satisfaction with our 72-hour vehicle exchange policy. Proudly Serving: Naperville, Oakbrook, Chicago, Joliet, Aurora, Downers Grove, Wheaton, Schaumburg, and greater Chicago Illinois. 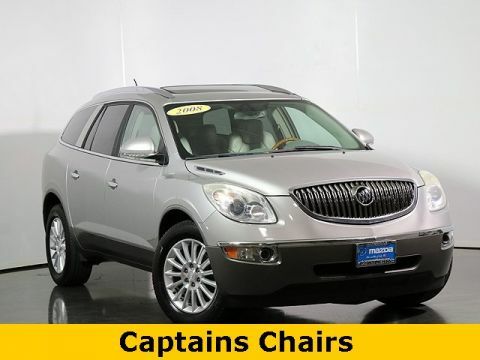 2008 Buick Enclave CXL In Platinum Metallic, ** HEATED SEATS **, **POWER MOONROOF**, **TOW PACKAGE**, **CLIMATE CONTROL**, FWD. Bad Credit? No Problem! 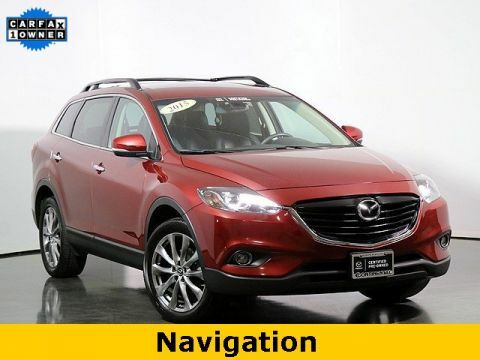 Thank you for considering Continental Mazda for your next vehicle! We are proud members of the exclusive Naperville Test Track. Stop by today for your best test drive experience ever - really! With over 50 years of satisfied customers, we guarantee hassle-free satisfaction with our 72-hour vehicle exchange policy. Proudly Serving: Naperville, Oakbrook, Chicago, Joliet, Aurora, Downers Grove, Wheaton, Schaumburg, and greater Chicago Illinois. Certified. 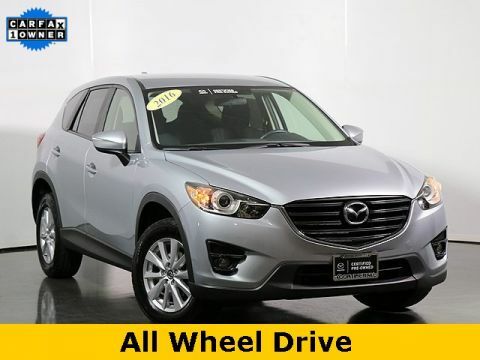 2016 Mazda CX-5 Touring In Sonic Silver Metallic, **BLIND SPOT MONITORING SYSTEM**, **REAR CROSS TRAFFIC ALERT**, **REAR VIEW CAMERA**, **BLUETOOTH HANDS FREE PHONE & AUDIO**. Mazda Certified Pre-Owned Details: * Vehicle History * Includes Autocheck Vehicle History Report with 3 Year Buyback Protection * 160 Point Inspection * Roadside Assistance * Transferable Warranty * Limited Warranty: 12 Month/12,000 Mile (whichever comes first) after new car warranty expires or from certified purchase date * Warranty Deductible: $0 * Powertrain Limited Warranty: 84 Month/100,000 Mile (whichever comes first) from original in-service date 24/30 City/Highway MPG Bad Credit? No Problem! Thank you for considering Continental Mazda for your next vehicle! We are proud members of the exclusive Naperville Test Track. 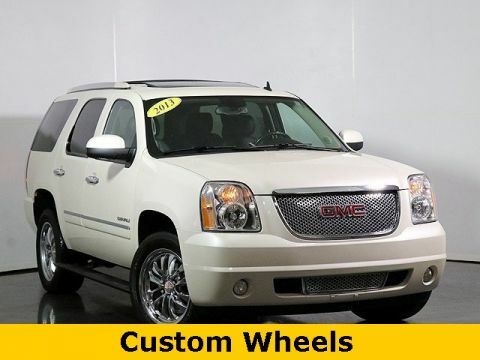 Stop by today for your best test drive experience ever - really! With over 50 years of satisfied customers, we guarantee hassle-free satisfaction with our 72-hour vehicle exchange policy. Proudly Serving: Naperville, Oakbrook, Chicago, Joliet, Aurora, Downers Grove, Wheaton, Schaumburg, and greater Chicago Illinois. Odometer is 8771 miles below market average! Certified. 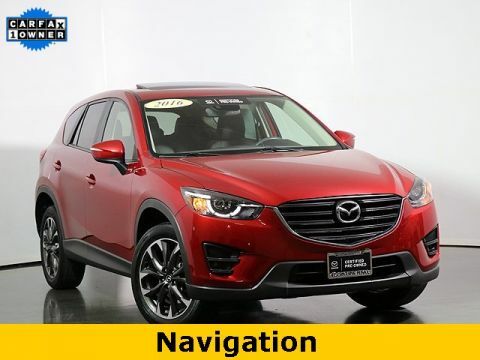 2016 Mazda CX-5 Grand Touring In Soul Red Metallic, **NAVIGATION SYSTEM**, ** LEATHER **, ** HEATED SEATS **, **POWER MOONROOF**. Mazda Certified Pre-Owned Details: * Limited Warranty: 12 Month/12,000 Mile (whichever comes first) after new car warranty expires or from certified purchase date * Transferable Warranty * Includes Autocheck Vehicle History Report with 3 Year Buyback Protection * Warranty Deductible: $0 * Vehicle History * 160 Point Inspection * Roadside Assistance * Powertrain Limited Warranty: 84 Month/100,000 Mile (whichever comes first) from original in-service date 24/30 City/Highway MPG Bad Credit? No Problem! Thank you for considering Continental Mazda for your next vehicle! We are proud members of the exclusive Naperville Test Track. Stop by today for your best test drive experience ever - really! With over 50 years of satisfied customers, we guarantee hassle-free satisfaction with our 72-hour vehicle exchange policy. Proudly Serving: Naperville, Oakbrook, Chicago, Joliet, Aurora, Downers Grove, Wheaton, Schaumburg, and greater Chicago Illinois. Certified. 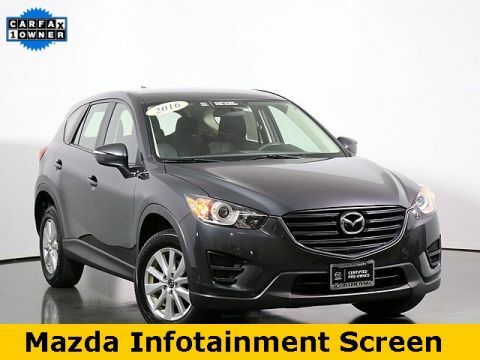 2016 Mazda CX-5 Sport In Meteor Gray Mica, **BLUETOOTH HANDS FREE PHONE & AUDIO**, **SPORT**. Mazda Certified Pre-Owned Details: * Warranty Deductible: $0 * Transferable Warranty * Vehicle History * Powertrain Limited Warranty: 84 Month/100,000 Mile (whichever comes first) from original in-service date * Limited Warranty: 12 Month/12,000 Mile (whichever comes first) after new car warranty expires or from certified purchase date * 160 Point Inspection * Includes Autocheck Vehicle History Report with 3 Year Buyback Protection * Roadside Assistance 26/33 City/Highway MPG Bad Credit? No Problem! Thank you for considering Continental Mazda for your next vehicle! We are proud members of the exclusive Naperville Test Track. Stop by today for your best test drive experience ever - really! With over 50 years of satisfied customers, we guarantee hassle-free satisfaction with our 72-hour vehicle exchange policy. Proudly Serving: Naperville, Oakbrook, Chicago, Joliet, Aurora, Downers Grove, Wheaton, Schaumburg, and greater Chicago Illinois. Odometer is 24924 miles below market average! Certified. 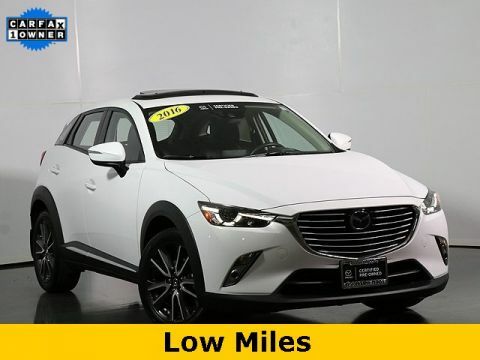 2016 Mazda CX-3 Grand Touring In Crystal White Pearl Mica, **NAVIGATION SYSTEM**, ** LEATHER **, **POWER MOONROOF**. Mazda Certified Pre-Owned Details: * Includes Autocheck Vehicle History Report with 3 Year Buyback Protection * Vehicle History * Roadside Assistance * 160 Point Inspection * Transferable Warranty * Powertrain Limited Warranty: 84 Month/100,000 Mile (whichever comes first) from original in-service date * Warranty Deductible: $0 * Limited Warranty: 12 Month/12,000 Mile (whichever comes first) after new car warranty expires or from certified purchase date 29/35 City/Highway MPG Bad Credit? No Problem! 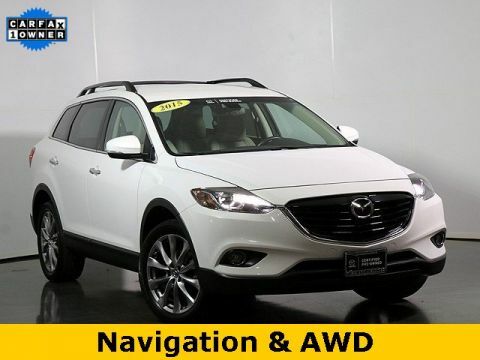 Thank you for considering Continental Mazda for your next vehicle! We are proud members of the exclusive Naperville Test Track. Stop by today for your best test drive experience ever - really! With over 50 years of satisfied customers, we guarantee hassle-free satisfaction with our 72-hour vehicle exchange policy. Proudly Serving: Naperville, Oakbrook, Chicago, Joliet, Aurora, Downers Grove, Wheaton, Schaumburg, and greater Chicago Illinois. Odometer is 7651 miles below market average! Certified. 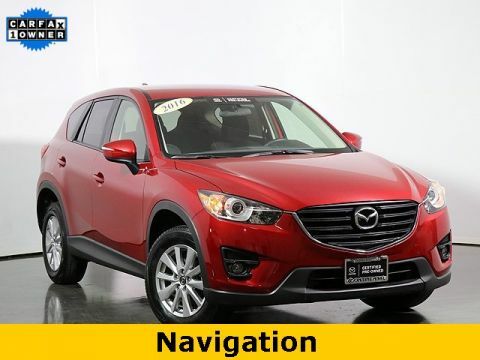 2016 Mazda CX-5 Touring In Soul Red Metallic, ** REMAINDER OF FACTORY WARRANTY **, **NAVIGATION SYSTEM**, ** HEATED SEATS **, **BLIND SPOT MONITORING SYSTEM**, **REAR CROSS TRAFFIC ALERT**, **BLUETOOTH HANDS FREE PHONE & AUDIO**. Mazda Certified Pre-Owned Details: * Powertrain Limited Warranty: 84 Month/100,000 Mile (whichever comes first) from original in-service date * Warranty Deductible: $0 * Vehicle History * Roadside Assistance * Includes Autocheck Vehicle History Report with 3 Year Buyback Protection * 160 Point Inspection * Transferable Warranty * Limited Warranty: 12 Month/12,000 Mile (whichever comes first) after new car warranty expires or from certified purchase date 24/30 City/Highway MPG Bad Credit? No Problem! 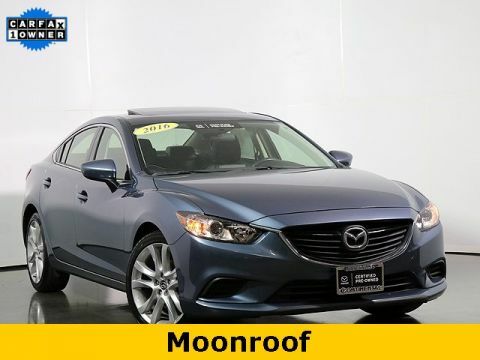 Thank you for considering Continental Mazda for your next vehicle! We are proud members of the exclusive Naperville Test Track. Stop by today for your best test drive experience ever - really! With over 50 years of satisfied customers, we guarantee hassle-free satisfaction with our 72-hour vehicle exchange policy. Proudly Serving: Naperville, Oakbrook, Chicago, Joliet, Aurora, Downers Grove, Wheaton, Schaumburg, and greater Chicago Illinois. Odometer is 4935 miles below market average! Certified. 2016 Mazda CX-5 Touring In Blue Reflex Mica, **BLIND SPOT MONITORING SYSTEM**. Mazda Certified Pre-Owned Details: * Limited Warranty: 12 Month/12,000 Mile (whichever comes first) after new car warranty expires or from certified purchase date * Roadside Assistance * 160 Point Inspection * Transferable Warranty * Includes Autocheck Vehicle History Report with 3 Year Buyback Protection * Powertrain Limited Warranty: 84 Month/100,000 Mile (whichever comes first) from original in-service date * Warranty Deductible: $0 * Vehicle History 24/30 City/Highway MPG Bad Credit? No Problem! Thank you for considering Continental Mazda for your next vehicle! We are proud members of the exclusive Naperville Test Track. Stop by today for your best test drive experience ever - really! With over 50 years of satisfied customers, we guarantee hassle-free satisfaction with our 72-hour vehicle exchange policy. Proudly Serving: Naperville, Oakbrook, Chicago, Joliet, Aurora, Downers Grove, Wheaton, Schaumburg, and greater Chicago Illinois. Certified. 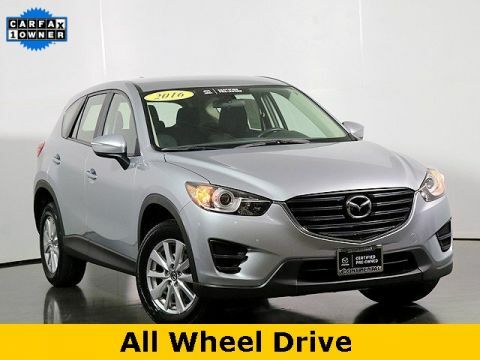 2016 Mazda CX-5 Sport In Sonic Silver Metallic, **REAR VIEW CAMERA**, **BLUETOOTH HANDS FREE PHONE & AUDIO**, **AWD**. Mazda Certified Pre-Owned Details: * Roadside Assistance * 160 Point Inspection * Includes Autocheck Vehicle History Report with 3 Year Buyback Protection * Vehicle History * Powertrain Limited Warranty: 84 Month/100,000 Mile (whichever comes first) from original in-service date * Transferable Warranty * Warranty Deductible: $0 * Limited Warranty: 12 Month/12,000 Mile (whichever comes first) after new car warranty expires or from certified purchase date Mazda Certified Pre-Owned means you not only get the reassurance of a 12mo/12,000 mile Limited Warranty, and up to a 7-Year/100,000 mile Limited Powertrain Warranty, but also a 160-point inspection/reconditioning, 24/7 roadside assistance, and a vehicle history report. 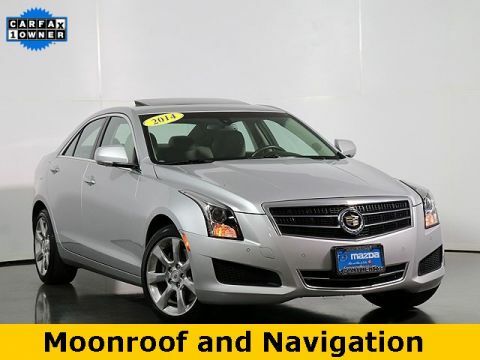 24/30 City/Highway MPG Bad Credit? No Problem! 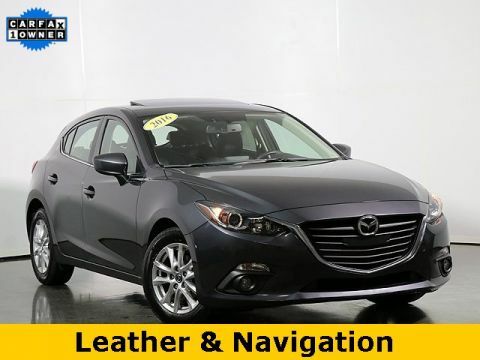 Thank you for considering Continental Mazda for your next vehicle! We are proud members of the exclusive Naperville Test Track. Stop by today for your best test drive experience ever - really! With over 50 years of satisfied customers, we guarantee hassle-free satisfaction with our 72-hour vehicle exchange policy. Proudly Serving: Naperville, Oakbrook, Chicago, Joliet, Aurora, Downers Grove, Wheaton, Schaumburg, and greater Chicago Illinois. Certified. 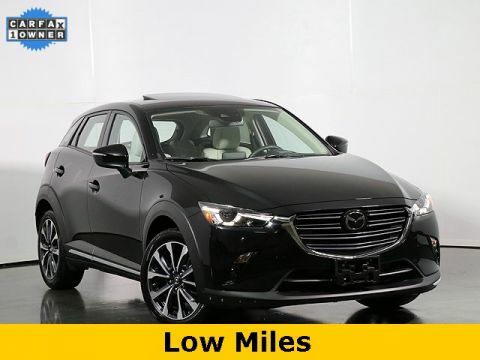 2019 Mazda CX-3 Grand Touring In Jet Black Mica, **LOW-LOW MILES**, ** REMAINDER OF FACTORY WARRANTY **, **PREFERRED EQUIPMENT PACKAGE**, **NAVIGATION SYSTEM**, **BLIND SPOT MONITORING SYSTEM**, **BLUETOOTH HANDS FREE PHONE & AUDIO**, **HEATED STEERING WHEEL**, **AUTO-DIMMING REAR VIEW MIRROR**. Mazda Certified Pre-Owned Details: * Limited Warranty: 12 Month/12,000 Mile (whichever comes first) after new car warranty expires or from certified purchase date * Roadside Assistance * Warranty Deductible: $0 * Transferable Warranty * Includes Autocheck Vehicle History Report with 3 Year Buyback Protection * Vehicle History * 160 Point Inspection * Powertrain Limited Warranty: 84 Month/100,000 Mile (whichever comes first) from original in-service date 27/32 City/Highway MPG Bad Credit? No Problem! Thank you for considering Continental Mazda for your next vehicle! We are proud members of the exclusive Naperville Test Track. Stop by today for your best test drive experience ever - really! With over 50 years of satisfied customers, we guarantee hassle-free satisfaction with our 72-hour vehicle exchange policy. Proudly Serving: Naperville, Oakbrook, Chicago, Joliet, Aurora, Downers Grove, Wheaton, Schaumburg, and greater Chicago Illinois. Certified. 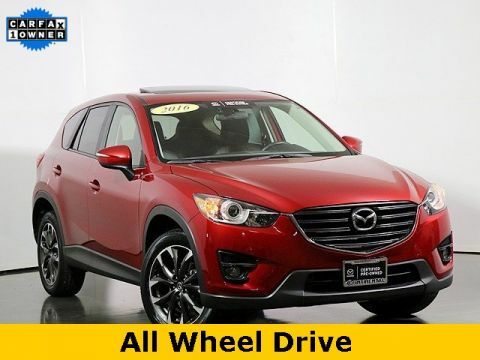 2016 Mazda CX-5 Grand Touring In Soul Red Metallic, ** LEATHER **, **BLIND SPOT MONITORING SYSTEM**, **BOSE SOUND SYSTEM**, **REMOTE START**. Mazda Certified Pre-Owned Details: * Includes Autocheck Vehicle History Report with 3 Year Buyback Protection * Vehicle History * Transferable Warranty * Warranty Deductible: $0 * Roadside Assistance * Powertrain Limited Warranty: 84 Month/100,000 Mile (whichever comes first) from original in-service date * Limited Warranty: 12 Month/12,000 Mile (whichever comes first) after new car warranty expires or from certified purchase date * 160 Point Inspection 24/30 City/Highway MPG Bad Credit? No Problem! 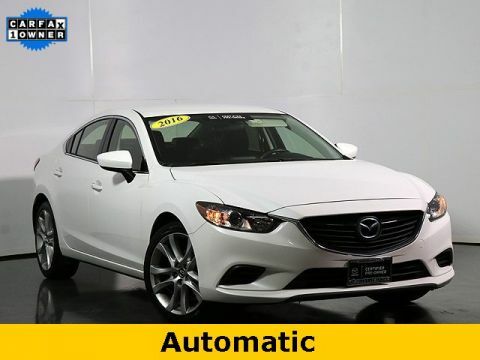 Thank you for considering Continental Mazda for your next vehicle! We are proud members of the exclusive Naperville Test Track. Stop by today for your best test drive experience ever - really! With over 50 years of satisfied customers, we guarantee hassle-free satisfaction with our 72-hour vehicle exchange policy. Proudly Serving: Naperville, Oakbrook, Chicago, Joliet, Aurora, Downers Grove, Wheaton, Schaumburg, and greater Chicago Illinois.